Since its creation two years ago in Bluffton, Teak + Table has outfitted the Lowcountry with high-quality outdoor furniture designed to withstand the coastal environs. This spring, the family business expanded its manufacturer-direct model with the addition of a Charleston-area showroom. 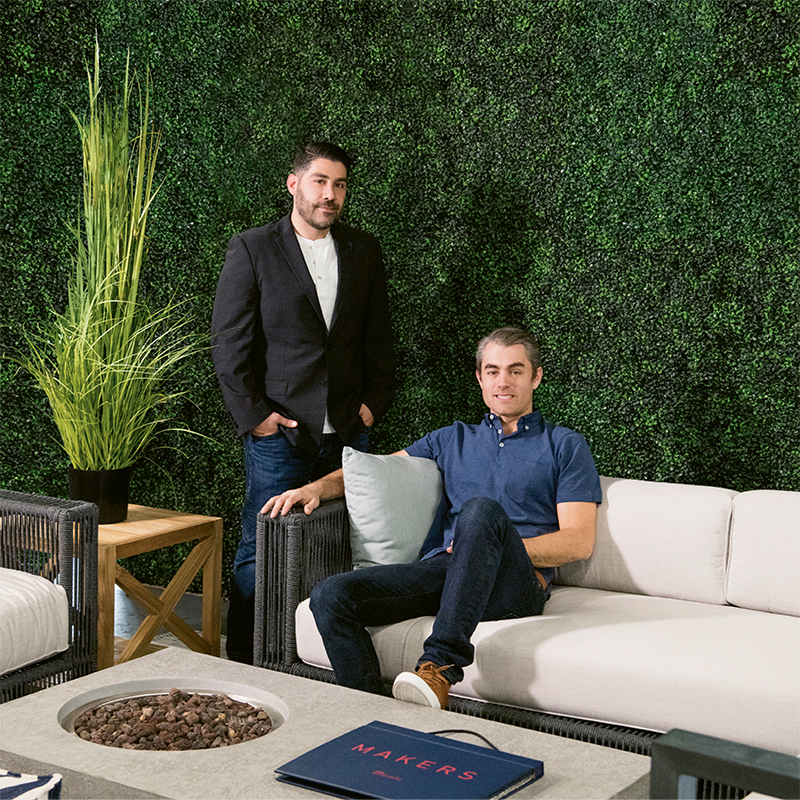 By utilizing strategic partnerships with furniture makers from around the globe, the retailer can offer customers a well-curated suite of skillfully built, luxury outdoor pieces at industry-leading prices. “We did not join this marketplace to blend in,” say founders Trevor Ferguson and Michael Racanelli. Customers create original exterior spaces by combining unique pieces from more than 30 complementary collections, a shopping experience described as “refreshing” and “cool.” Teak + Table carries a variety of styles, including teak, wicker, aluminum, Polywood, and Sunbrella rope furniture. For a final personalized touch, the specialty store locally manufactures its own line of luxe cushions from a vast library of high-end fabrics. Teak + Table’s expansive selection, outstanding service, and quick turnaround have garnered the business a number of notable projects throughout the Southeast. Most recently, the team completed a 300-piece design for Bluffton’s Belfair Country Club and furnished the exclusive Super Saturday Tailgates for private jet membership company Wheels Up at the 2019 Super Bowl. Skilled designers work one-on-one with clients to develop creative solutions that meet their needs and wishes. (The team recently developed a concept for the home office-turned-guest room: a Murphy bed that rises to reveal a desk.) By the end of one appointment, customers receive a design plan, pricing, and an installation date within four to six weeks. “Beyond just selling a product, we create a finished project that meets client expectations and has been installed correctly, efficiently, and cleanly,” explain the Browns. Such top-notch service from its design, production, and installation teams has earned the company not only numerous repeat business, but also industry recognition. 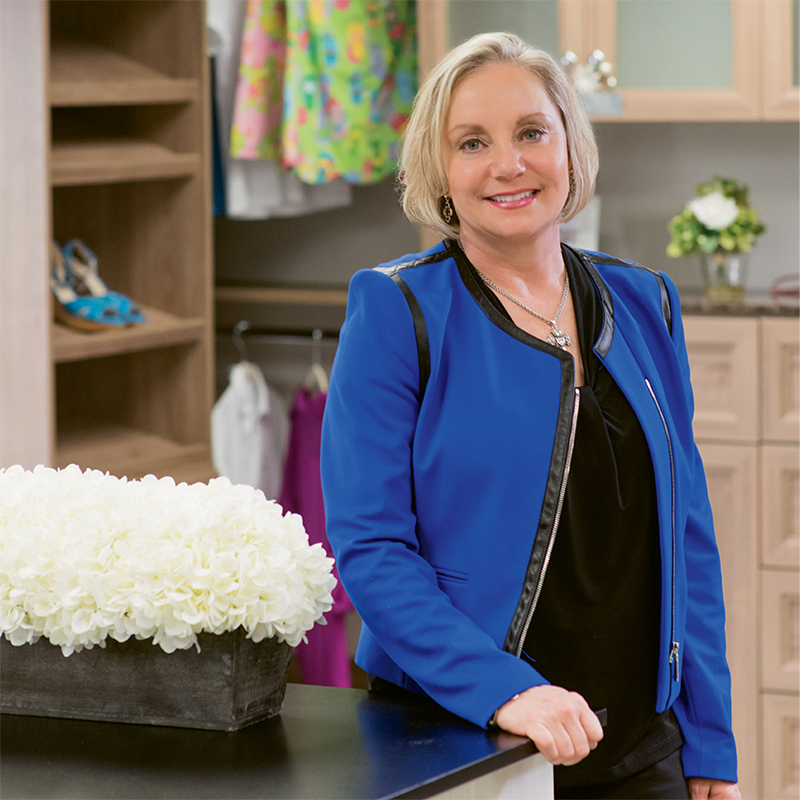 In its debut year, Closets by Design Coastal South Carolina held a top spot in the Post & Courier Charleston’s Choice Awards as “Best Cabinet and Closet Company,” and in 2019, won a Houzz Service Award and the title “Best Cabinet Company” in The Summerville Journal Scene’s Reader’s Choice Awards. In the late 1990s, Jan Clouse made an observation that would spark a leading business. 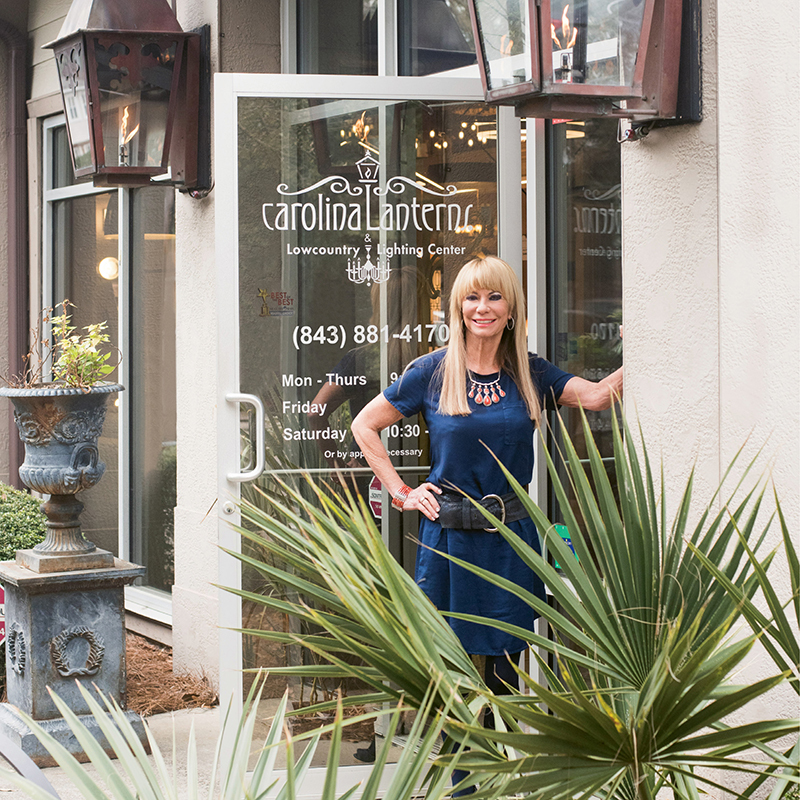 While building her home, she was surprised to discover that “there were no gas lantern makers in the area.” And so, after hiring an Upstate artisan to recreate the “Charleston look,” the entrepreneur fired up Carolina Lanterns & Lighting, opening her first showroom in 2002. Clouse set out to rekindle the peninsula’s simple elegance using copper and brass lighting designs popular during the 1800s. Since then, the company has earned a reputation for charming antique-style lighting, sans the high price that usually accompanies such reproductions. The designer diligently works to outfit each client’s unique project, from houses to neighborhood entrances, restaurants to hotels (including custom lanterns for downtown’s five-star Hotel Bennett) with high-quality gas and electric pieces. For this attention to detail, Carolina Lanterns has been recognized multiple times by local publications as well as nationally in Veranda magazine. Clouse is also proud to have participated in last year’s Coastal Living and Southern Living Idea Houses as well as the 2019 Southern Living Idea House in Fernandina Beach, Florida. Even stars have taking a shining to Carolina Lanterns & Lighting—Barbra Streisand worked with the company for the finishing touches to her Malibu home. “Over the last decade, Charleston has become very well known on the world stage,” says Dan Ravenel, who established his namesake business in 1983 and has since built a reputation for ethical leadership and exceptional service. Through its affiliation with Sotheby’s International Realty, the firm leverages powerful marketing tools and global brand recognition to reach a worldwide clientele. 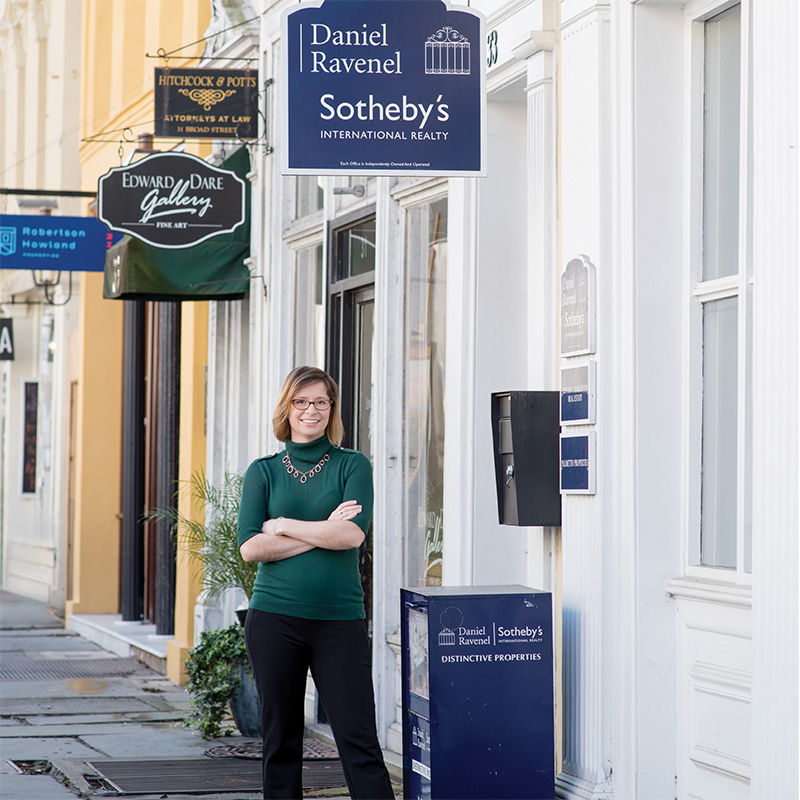 Daniel Ravenel Sotheby’s International Realty has represented several notable transactions within the Lowcountry market, including Ruthie Ravenel’s 2015 record-setting sale of the most expensive historic home ever sold downtown, as well as records for the highest sale prices on Isle of Palms and Kiawah Island. “We provide so much more than house tours and contract negotiation,” explains Ms. Ravenel, noting that the firm’s family of full-time agents possess a deep knowledge of Lowcountry culture, social landscape, and real estate micro-markets because they live in and give back to the same communities in which they work. Supported by a corporate culture that values in-house collaboration and a direct focus on the individual needs of buyers and sellers, this team of experienced professionals provides executive-level service to clients and customers, regardless of the price point of the home.